NetEnt is one of the world’s leading developers of casino games, with a track record for innovation spanning over 20 years. Some 200 games are available at over 100 online casinos, offering players the chance to enjoy some of the best table games, live games and slots action available anywhere online. NetEnt has a long history of innovation, pioneering a number of technological advances from the very earliest days of online gambling. Since the first NetEnt casino launched in 2002, the company has been instrumental in shaping the direction of the wider gambling sector. NetEnt is specifically known for its slots games, which payout at an average of 95% RTP. This focus on high-paying games has allowed NetEnt to capture the attention of players and casino operators alike. Their games are regarded as being high-quality – from their themes and graphics, through to game features and jackpots. NetEnt games are a mark of quality in any online casino. A Pocketful of Slots – In 2011, NetEnt created its first mobile game, en route to shaping the mobile gaming environment so many players now prefer by default. Today, NetEnt provides industry-leading games for mobile as well as desktop via their NetEnt touch platform and remains a key player in the mobile sphere it helped create. Titles like Gonzo’s Quest and Mega Fortune have reputations that precede them, as some of the most widely played slots on mobile. Bringing the casino to you – By 2013, NetEnt was exploring another innovation, in the form of live casino gaming, launching their first offering in this space to provide even more choice to their players. Like their track record in mobile gaming, NetEnt has since become known as a reliable, high quality option for casino operators looking to offer live blackjack, roulette and other table games to their players. License to thrill – Today it’s known for its wide variety of games, with a particular specialism in licensed slots. Games like Scarface, Jimi Hendrix, Guns N’ Rosesand South Park have particular appeal for fans of the originals, alongside impressive games like the progressive Mega Fortune and the hugely popular Starburst. Its lineup of games whilst not as extensive as other industry players – Microgaming and Playtech, is generally considered to be more innovative and dynamic. With more than 200 game titles in their catalogue, it’s difficult to pick out the highlights. But since you’re twisting our arm, here are a few we personally recommend you check out. There are more than 100 sites currently carrying NetEnt games, including some of the biggest names in online gambling. Big names like 888, Casumo, Royal Panda, Videoslots.com, Bet365 and others all benefit from NetEnt software and casino games. We love NetEnt software, but we recognise that software is not the whole of the story. You also need the casino to do their bit, from security and licensing, through to banking, customer support and promotions. We constantly update our list of the best NetEnt casinos to keep you in the loop, so you can enjoy the high quality games you’ve come to expect from NetEnt, in a secure, player-friendly casino environment. After 20 years in the business, NetEnt has grown to become one of the major game developers in the industry, rivaling Microgaming and Playtech for the number one slot. 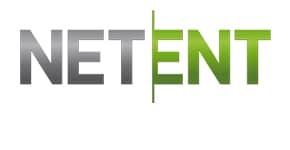 Whilst Playtech is strong with the multi-vertical operators securing licenses with the likes of Sky Casino, Ladbrokes Casino, Will Hill Casino, and Bet365 and Microgaming is no 1in the Australian and Canadian markets – Netent is increasingly hovering up market share beyond its Scandinavian heartland. Nowadays the majority of recommended casinos in the UK offer games from the NetEnt library. Securing a licensing agreement with NetEnt is still good news for any online casino, attracting players for the NetEnt brand in its own right, as well as providing top-of-the-line experience for casual players.A multi-award winning developer providing games for some of the biggest online casinos in existence, NetEnt looks set to remain at the forefront of the online gambling industry in the years to come. It’s hardly surprising that NetEnt has a trophy room that’s bursting at the seams. Its work in developing games and shaping the direction of online gambling has earned it glowing recognition from industry bodies over the years, resulting in an impressive array of accolades. NetEnt was founded in 1996, as a new venture pioneered by the offline casino brand, Cherry. Having inherited responsibility for the direction of the company from his father, Pontus Lindwall launched NetEnt as an online games developer at a time when the online gambling industry we know today was starting to grow in popularity. The first NetEnt online casino was launched in the early 2000s, and quickly proved a hit with players. By 2009, NetEnt had been spun off into a separate entity, and listed on the Stockholm Stock Exchange. Today, it has grown to become one of the biggest developers of casino games in the world, with titles for desktop, mobile and live casino games leading their respective markets.